Blackwater Dog Training Centre Ltd respects your privacy and is committed to protecting your personal data. This privacy notice will inform you as to how we look after your data and tell you about your privacy rights and how the law protects you. This privacy notice aims to give you information on how Blackwater Dog Training Centre Ltd collects and processes your personal and business data through your use of our services, visiting our website or social media pages. Our websites, goods and service are not intended for children and we do not knowingly collect data relating to children. It is important that you read this privacy notice together with any other privacy notice or fair processing notice we may provide on specific occasions so that you are fully aware of how and why we keep or use your data. This privacy notice supplements the other notices and is not intended to override them. The vast majority of the data stored, accessed or processed by Blackwater Dog Training Centre Ltd is in fulfilment of our contractual obligations to our clients either as part of our internal administration or for the delivery of our services. We take the security, accuracy and protection of this information very seriously and access is strictly controlled. 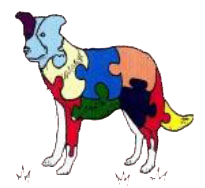 Where personal data is kept or processed by Blackwater Dog Training Centre Ltd, we are the data controller (collectively referred to as Blackwater Dog Training "we", "us" or "our" in this privacy notice). Marketing and Communications Data includes your preferences in receiving correspondence from us and our third party suppliers and your communication preferences. We have set out below all the ways we plan to use your personal data. This retention period does vary according to the nature of the data. For example most remote monitoring and alerting systems are essentially transient data and as such that the retention is limited to 60 days. or complete the form on the contact page.